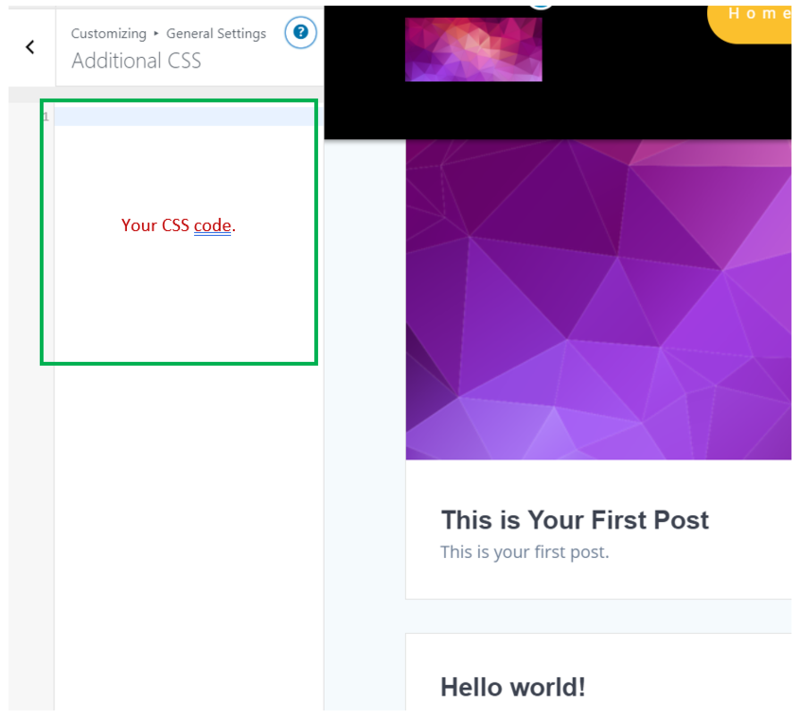 Although customizing your theme does not require any coding skills, it might prove useful to keep in mind this feature (Additional CSS). From this section, you can add your own CSS code for in-depth customization of the website appearance. Add your own CSS code here to customize the appearance and layout of the site. The edit field automatically highlights code syntax.